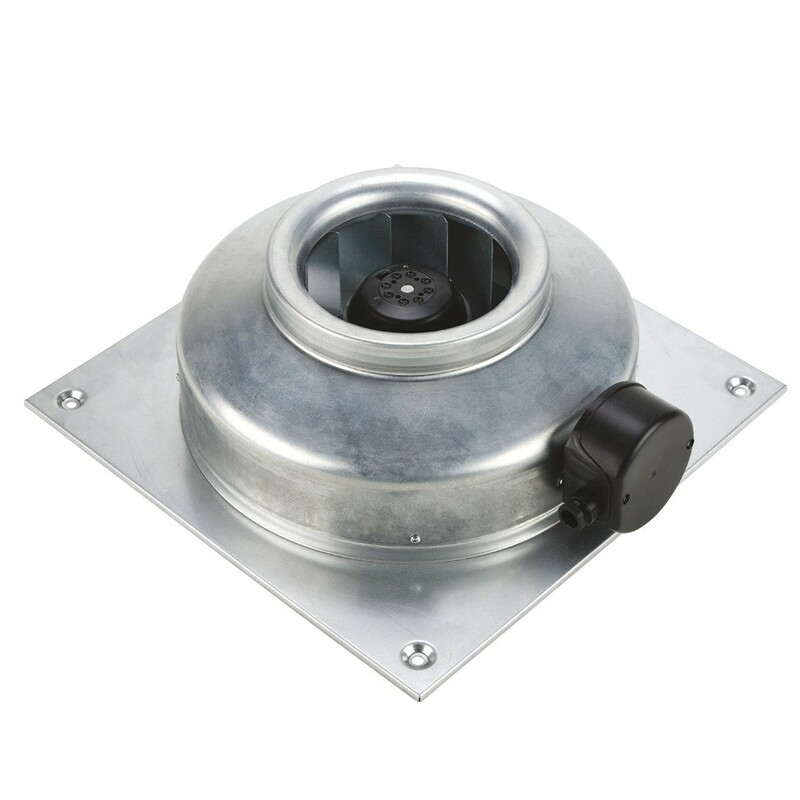 Wall mounted in-line [TIPOICONO] duct centrifugal fan, manufactured from high grade corrosion resistant pressed galvanized steel. Motor [INDPROT], single phase , external rotor with thermal protector. Model [MODELO] for an airflow.